What does one do when the nation feels divided over politics, faith and skin color? Well, if you are former Utah Rep. Christine Johnson, you write a children’s book to help explain that differences are not an obstacle to friendship, and that sharing what you have and being kind is what matters in life. 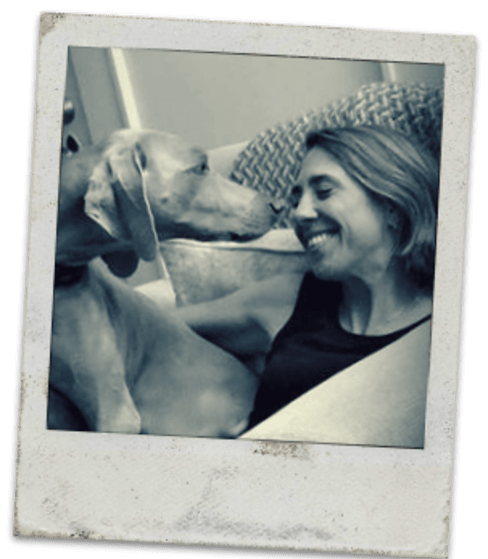 What began as crafting a “true” bedtime story with a child sprouted a children’s book about Havoc, a dog who gets a new family, becomes a lake dog and learns a lesson about friendship. 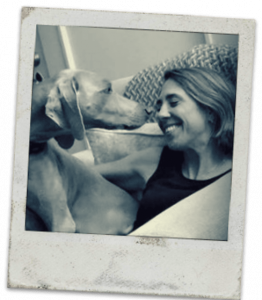 In 2011, Johnson had the great fortune to adopt what she calls the most wonderful dog on Earth — a 6-year-old Weimaraner named Havoc. When Havoc passed in July of 2016, Johnson was crushed. He was her companion, day and night and shared a simple but beautiful life with her aboard her boat, appropriately named “Raising Havoc,” on Lake Murray in South Carolina. Now Havoc’s memory lives on in Havoc the Lake Dog, written by Johnson and illustrated by Mirza Becukic. The book shares the story of Chris, Havoc, and Havoc’s unusual relationship with a turtle named George. Sharing food with George draws growls and displeasure from the other dock dogs and Havoc must resolve an internal conflict between being friends with dogs, who are like him, or George, a turtle. In real life, Havoc did share his food with George twice a day and the two traveled on dock and in water, side by side. The dock dogs did growl at Havoc and bark at George, and Havoc did take great pleasure in rolling in smelly goose poop. “My hope is that Havoc the Lake Dog will create dialogue between parents, teachers and children, highlighting the value that individual differences do not prevent us from caring for one another. And today, with almost daily external pressures to identify and isolate those who are different, that seems like an important value to teach the next generation,” Johnson said. The story is based on true events, and the images are lush, engaging and convey the personality of this special dog and his unique friendship. The book is available on Amazon for $10.99 and printed in the United States. Christine Johnson is a Charleston, SC native, a mother, an activist and served two terms in the Utah House of Representatives. She has spent her professional career advocating for under-represented people and causes, and dedicates the book to her daughter, Olivia and her son, Miles, whom she carried as a surrogate mother in 2010.